On Sunday, Erdogan accused the EU of “messing us about,” citing the bloc’s broken promises over issues like visa deals and Syrian migrants. 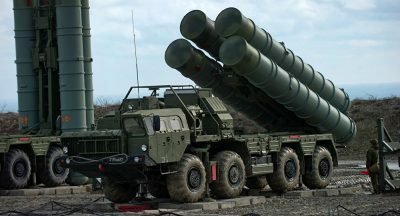 The S-400 system would “close Turkish skies,” to Western aircraft in particular, Makienko, the Moscow-based analyst, told Russian news site Vzglyad, according to Russian state-owned outlet Sputnik. “If the Turks really purchase Russia’s missile defense systems, it will be a tectonic shift, a game-changer in the arms market,” he said.